The Star Entertainment Group is proposing to build a 200-metre high hotel tower at Jupiters Casino on the Gold Coast. 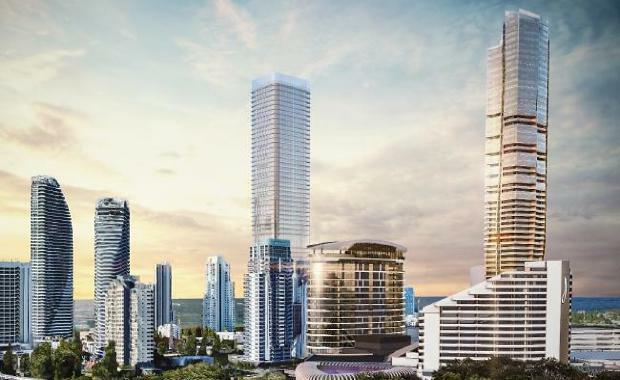 Pending various approvals and the execution of final joint venture agreements, The Star Entertainment Group aims to develop the tower with its Queen’s Wharf Brisbane partners, Hong Kong-based Chow Tai Fook Enterprises and Far East Consortium. Under the concept plan, the tower would be built on the ocean side of the existing property and would house around 700 hotel rooms and apartments – taking the overall accommodation supply to almost 1,400. It is envisaged the new tower will feature a 4.5-star hotel. The Star Entertainment Group is also considering the development of a live sports theatre as part of the ongoing transformation of the property that later this year will be rebranded The Star Gold Coast. The attraction would offer live entertainment/event activations, screens broadcasting sports from around the world, and an array of food and beverage options. The existing Jupiters hotel is already undergoing a full refurbishment of its almost 600 rooms, while a 6-star 17-storey hotel tower, with more than 50 luxury suites, is under construction at the front of the property. The Star Entertainment Group initially committed $345 million to the refurbishment of the existing hotel and construction of the all-suite hotel tower. The total investment under consideration has the potential to reach around $850 million with the proposed hotel/apartment tower plus the additional development works around the sports theatre, and further food and beverage offerings. It is expected that the proposed new tower and sports theatre, and the six-star all-suite hotel where works are already underway, could generate in total more than 1000 construction jobs. Jupiters’ workforce could also increase to around 2300 employees once the projects were complete and the new areas operational. The announcement also confirms the intentions for The Star Entertainment Group to joint venture with Hong Kong-based Chow Tai Fook Enterprises and Far East Consortium on developments at all three of its properties in south-east Queensland and Sydney. The three companies formed Destination Brisbane Consortium to successfully bid for the right to develop the Queen’s Wharf precinct in the Brisbane CBD, a $3 billion transformational project that will see a new integrated resort operational by 2022. A similar joint venture is planned, pending various approvals and execution of final agreements, to construct a 200 metre tower at The Star in Sydney. It is proposed to feature a Ritz Carlton hotel and an extension with connectivity to the existing property that would include further food and beverage outlets. Together with the original five-year investment plan of $500m, additional works would take the overall Sydney commitment to around $1 billion. “We want to be Australia’s leading integrated resorts operator and our plans for the Gold Coast are a significant part of that vision,” said The Star Entertainment Group CEO Matt Bekier. “Our commitment to the Gold Coast is unambiguous. We are already well advanced on transforming the property through the hotel refurbishment and new restaurants, and later this year when we rebrand to The Star Gold Coast, the new six-star all-suite tower will be rising out of the ground. “Adding another tower in joint venture with such highly-credentialed partners as Chow Tai Fook Enterprises and Far East Consortium has the potential to create a tourism asset at scale that helps serve to position the industry as an economic driver in Queensland. “Importantly, we will also have a world-class property just up the highway at Brisbane to ensure the tourism experiences on offer, while unique by location, will also be complementary and of benefit to the broader south-east Queensland area by significantly increasing visitation. "The Star Entertainment Group Managing Director Queensland, Geoff Hogg, added: “The fact this concept plan is under consideration underscores our confidence in the Gold Coast. We were the first major partner of the Gold Coast 2018 Commonwealth Games and we see the long-term growth potential in the region. Chow Tai Fook Enterprises CEO Patrick Tsang said the company was delighted to be part of the Gold Coast development plans. Far East Consortium Managing Director Chris Hoong said the developments across south-east Queensland and Sydney were necessary infrastructure projects to leverage the growing interest in Asia for Australia as a destination.